Before we get in the nitty gritty of Friday and Memes, I have two quick questions about audio books. I've never listened to an audiobook. I've always had the mindset that listening to a book is besides the point. But I have a couple of back-to-back roadtrips coming up and I thought I would give it a try. So please help me with my little endeavor. 1. Where do you buy/obtain your audiobooks? 2. What is a good book for my first audioread? I don't have just one favorite TV show. I tried and tried to narrow it down to one and I just can't. I have a favorite show for each day of the week so I have to share them all to be fair to my love for each one. Monday = House: It has everything... great music on each episode, and sarcasm. 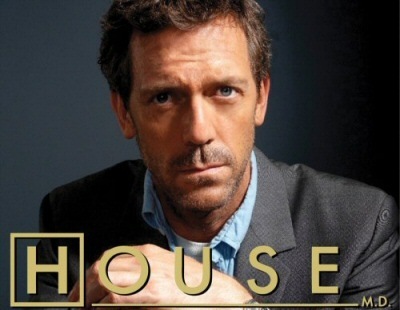 House is brilliant but he has so many issues that you can't help but love him and cringe at a the same time. Tuesday = Glee: My husband loves this show too (true story!). I also like musicals. So it would follow that Glee would be right up on my list. But it is so much more than singing. They choose great songs, put a twist on it and I come back each week wanting more. 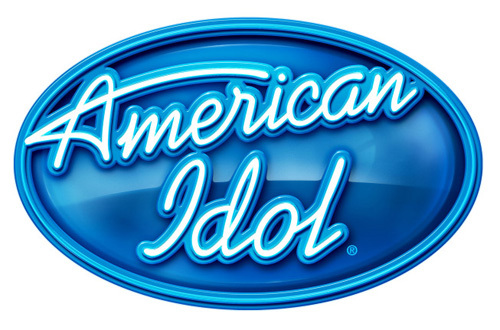 Wednesday = American Idol: More singing I know. I thought this season would be lame, but it has been surprisingly good. I have pouted and quit watching midway through previous seasons, but I keep coming back for more. Thursday = Bones. A macho FBI guy looking for love and a literal-minded genius...who can ask for more? Oh I know... A dead body for every episode and a mystery to solve. I pull out my Nancy Drew skills every week and tune in. I'm curious about the audiobooks questions as well. Hey there! I just followed you and I'd love it if you followed my blog too! I'm a new blogger, so anyone else that wants to follow me is definitely appreciated too! Hey I'm a new follower =] I love House and Bones too. I quite like audiobooks. My dad isn't a reader, so we used to listed to them in the car on holidays and stuff. Harry Potter audiobooks have always been my favourite. I'd recommend the UK ones tho, cause Stephen Fry has a lovely voice to listen to and he does all their voices really well. I also like the Percy Jackson books as audiobooks, and the MI series by Cassie Clare. I used to buy audiotapes (that's how long I've been listening to them!) but now I mostly download them. I LOOOOOOOOOOOOOOOOOOOOVE Bones. My husband and I have been watching on dvd so we can't watch Season 6 till it releases on dvd. I <3 Booth! Hooray for singing shows! My sis recently got me into Bones, which is awesome as well. I don't listen to audiobooks much. I have a hard time focusing when I feel like people are talking at me rather than conversing, so my mind wanders too much. But my husband likes them on road trips. We downloaded one from iTunes, and I've heard audible.com is a good resource. You can usually check them out from the library and truck stops have kiosks where you can borrow them too. As for audio books, I would usually get mine from the library, because I'm cheap. But you can find some good cheap ones at Barnes and Noble in their bargain section, or you can get them from Paperbackswap.com (for 2 credits instead of 1 credit). 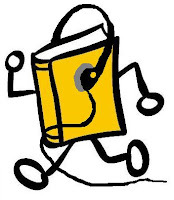 I'm a complete audiobook addict. I get all of mine from the library because I'm too cheap to buy them. Also, my near half-dozen library cards give me access to a number of downloadable audiobooks. Since you're a WWII fan, you might check out some of Agatha Christie's books on CD. The Moving Finger is post-war, but it's definitely one of my favorites. Be careful not to get anything narrated by David Suchet, though. Btw, I'm returning the follow! Have a good weekend. New follower from the hop :-) I'm with you for Monday's choice - I absolutely love House! Thanks for hopping by my blog! I love House as well, and I LIVE FOR AMERICAN IDOL! My hunny thinks I'm crazy for getting so excited over a reality show, but I don't know what I would do without Idol. American Idol completes me. I love audiobooks, I remember the first time I got one from the library. I was going to visit my daughter (Alexis) it was a three hour drive. I couldn't believe it, I was already there without realizing it. I had missed my bathroom stop and I missed calling her ahead to let her know I was there. It is great no boring ride here...not when I can listen to a audiobook. Wow!! You have a great watchign week! I follow many of the same shows! they are awesome. :D Have a great weekend. We have the same taste in shows! All I have to add is Fringe on Fridays and I'm set! As for audiobooks, I have my own personal system. I listen to books on the computer at a faster speed (usually just under 2x) while reading along. I find it works better in terms of concentration and memory, as well as being faster than solely listening (4 hours instead of 8). I've not yet managed to listen in a long car ride (mostly because I haven't taken any since I started) but I have done hour-long sessions driving back and forth between home and school, and I find it still works pretty well, especially for required reading (though I still prefer music on the whole). As far as obtaining audiobooks, public libraries seem to have a fairly good stock, both on the shelves and now online. Or, if you're thinking about making a long-time commitment to audiobooks, you might want to try audible.com. Their selection is pretty much second to none, and from what I can tell, their prices are fair. Have fun with it, and have a great weekend! Hey there - thanks for stopping in at Kate's Library! I totally agree you - it's an entire vibe that a blog has (complete with the most important thing - the books that get reviewed!) that makes a blog! 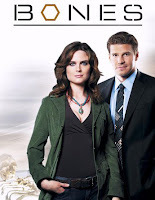 I don't listen to audiobooks and I don't watch HOUSE or GLEE, but I DO like AI and BONES. It took me awhile to get used to BONES since the t.v. show is soooo different than the books. David Boreanz, though, wow. So hot. Oh, I am the audiobook pro. I've been listening to them since I can remember. When I was little my mother bought me these disney books on tape. I distinctly remembered having Lady and the Tramp. I listened to them so much I had them memorized. Fast-forward twenty years and I'm still listening to audiobook all the time. Those are all really great audiobook. There are also audiobooks of all of John Greens books and I enjoyed those. There are reviews for all of these audiobooks on my blog (except The Gargoyle), if you want to check them out. Thank you to everyone who has posted. Especially those who are trying to help me as I delve into the world of audiobooks. I haven't replied to any comments because Intense Debates messed up on this post or something (I don't know why and it is bothering me) and my replies aren't posting. Newest follower here via the Friday blog hop. 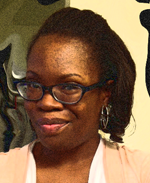 I am a new contemporary romance writer and a reader of almost everything! I hope you stop by and check out my blog. You might want to browse through Librivox's site. They're all free recordings of books in the public domain. 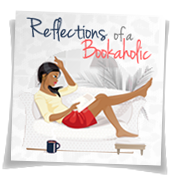 The readers can be hit or miss, but I recommend the reader Elizabeth Klett. i watch a few episodes of House but I didnt like it much. IDK but i love Glee - season 2.
btw, thanks for stopping by my blog and im your newest follower! Hello! Thanks for stopping by my blog the other day. I like your blog, too! I'm a new follower. 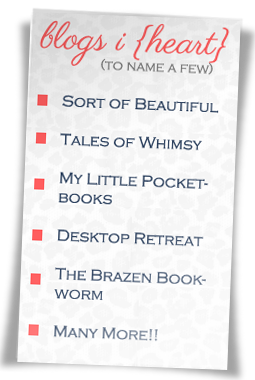 I've been looking for bloggers who read more literary fiction. I usually read YA, but I'm trying to read more adult fiction, too. I love audiobooks for in the car. Much more interesting than listening to the radio. I get all my audiobooks from the library. It took me a long time to accept that audiobooks were real books. Now I just love them, I listen to them during home chores, cooking, ironing, etc, and while I paint, as I'm an artist [www.rocksbyemmanuelle.com]. I have NEVER been disappointed, the readers are fabulous, and often I have books read by the author, such as Atlantic, by Simon Winchester, that I'm currently reading. A fascinating non-fiction on all things concerning the Atlantic ocean. 2 great fiction books I listened to recently: The Vanishing of Katharina Linden, awesome, and the Postmistress, excellent as well. To buy them: audible.com is the most famous I guess. I VERY rarely buy books, and I don't think I have EVER bought an audiobook: every public library has tons for free. go to the website of your local public library, there should be somewhere a downloads page. you will need to download a small software, and from there you can borrow audiobooks that you save on your computer and transfer on your ipod or whatever you use. libraries are starting allowing also to download audiobooks directly on ipod thru the Overdrive app, but so far only MP3 formats are available, there are not many. the best are in MWA format, and for these you still need to go through your PC/laptop first. if you have any question, i can help you with this, just email me at ehc16e (at) yahoo (dot) com.